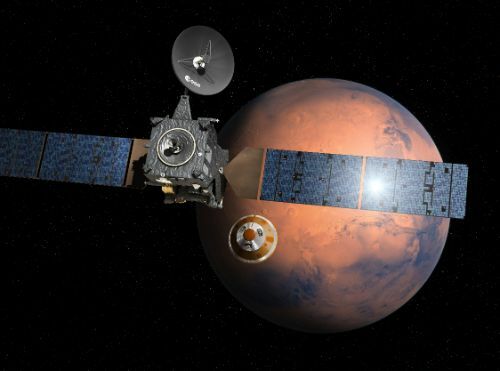 The ExoMars project can look back at a storied history of numerous mission proposals, launch concepts and partnerships that were formed and broken in a project taking well over ten years from inception to launch. ESA was set on a path to Mars in December 2005 when the Ministerial Council approved plans, and more importantly €650 million of funding, for a flagship mission under the Aurora Program calling for the deployment of a surface rover and stationary ground station to Mars utilizing a Soyuz rocket for launch. This mission concept was in its essence similar to NASA’s Mars Exploration Rovers with the spacecraft designed to consist of an Interplanetary Module supporting the vehicle during the long cruise to Mars, a re-entry and landing module, and the rover itself, plus the stationary ground system. However, the focus of ESA’s 180-Kilogram rover would be very different from the NASA mission that were not designed to search for past or even present biosignatures. By mid 2006, opinions were voiced among the scientific community to change the mission plan to include an orbiter because it would only add a small increase in cost and, more importantly, increase the scientific return of the mission and also ensure communications with the rover as an orbital relay point is needed for high-rate communications with the landed craft. 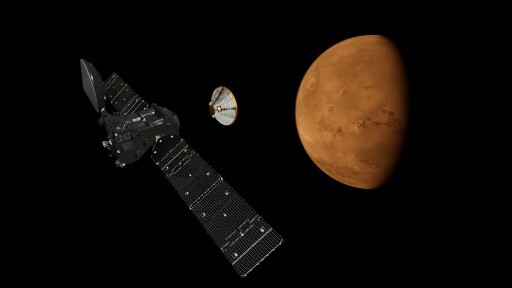 At the time, the situation of orbiters around Mars was rather uncertain as the life of existing orbiters was not guaranteed beyond the ExoMars launch date. Additional concerns were raised by the end of 2006 associated with the payload mass on the rover that was budgeted for only six Kilograms in the Soyuz-launched mission concept. However, the addition of an orbiter or rover payload would put the mission on an Ariane 5 launcher, coming at twice the price of Russia’s Soyuz rocket. 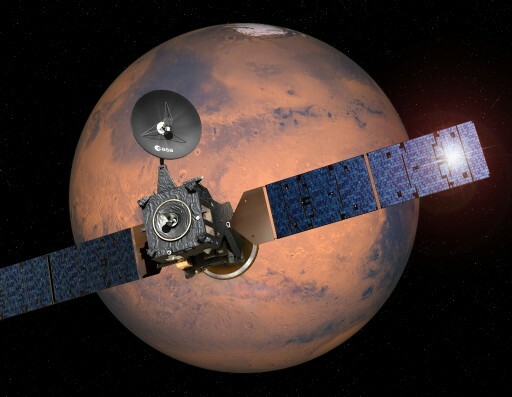 ESA approached Roscosmos for the first time in June 2007, offering help with the Phobos-Grunt mission to Mars Moon Phobos in return of Russia providing a Proton rocket for the ExoMars launch, though this deal did not come to fruition. 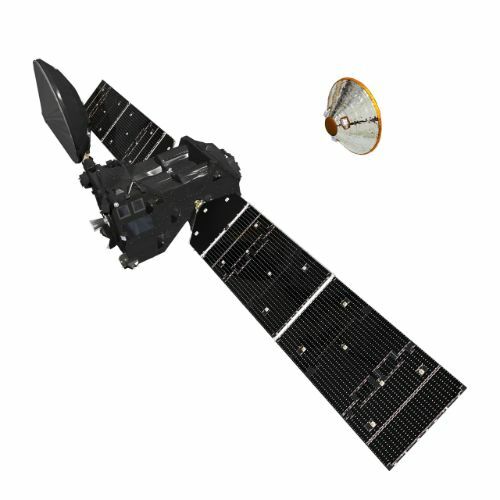 By the end of 2007, ExoMars was predicted to cost over €1 billion given the increase in payload mass and the need for a more-powerful launcher. The revised mission called for a Service Module ferrying the craft to an orbit around Mars and awaiting the proper time when storm activity is low to dispatch the rover. 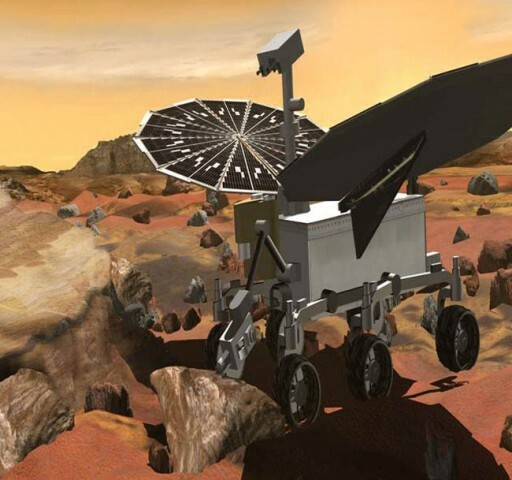 In July 2009, NASA and ESA signed the Mars Exploration Joint Initiative, a proposal of fitting the rover onto a NASA orbiter and the two launching atop an Atlas V rocket which would have required weight-reduction on the rover. It did not take long for this mission concept to be overturned in favor of a pair of Atlas V launches to merge the ESA-built Trace Gas Orbiter into the program and possibly add another rover, the Mars Astrobiology Explorer-Cacher (MAX-C). The 2016 mission with ESA’s orbiter and a stationary lander was to be led by ESA while the 2018 mission with the rovers would have been led by NASA. ESA and Roscosmos signed an agreement for cooperation in the agencies’ Mars endeavors – ESA would provide support for Russia’s Phobos Grunt mission and Roscosmos would provide ESA with a Proton rocket as a backup launcher for the ExoMars rover, that would now also include Russian-built instruments. 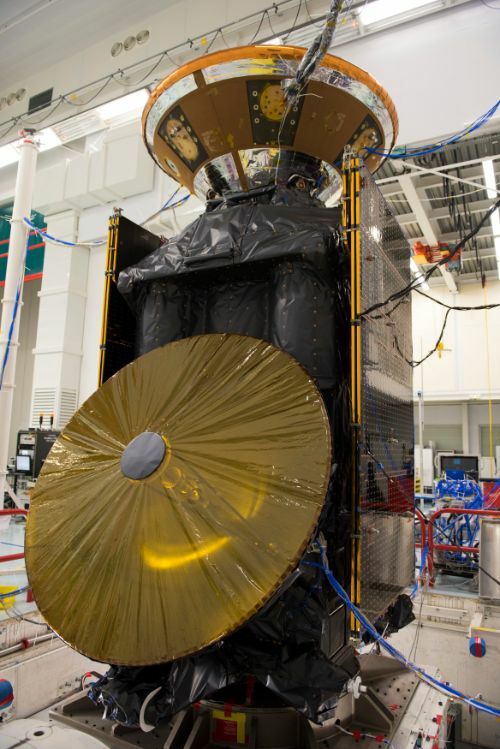 In April 2010, work on ExoMars was stopped and re-aligned to include a larger 600kg rover built by ESA with some NASA components and instruments, scrapping the MAX-C rover for budgetary reasons. Just a year later new trouble emerged when NASA informed ESA that the agency’s budget would not allow a 2016 Atlas V launch, forcing ESA to again re-plan the project – now with Russian participation. In mid-2013, ESA and Roscosmos signed a deal for two missions, both leaving the planet atop Proton rockets. 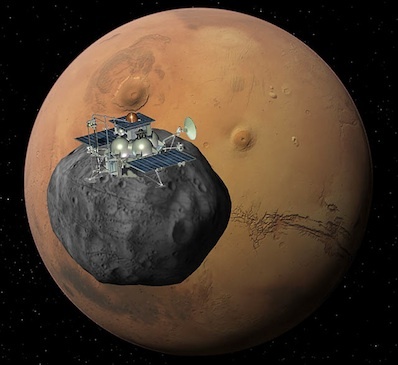 In return, Roscosmos received the opportunity of flying a pair of instruments on the Trace Gas Orbiter originally launched on the ill-fated Phobos Grunt mission in late 2011, and Roscosmos would also receive full access to all scientific data returned by the missions. Going forward, the plan for the 2016 mission of the Trace Gas Orbiter and Landing Demonstrator seemed relatively secure but the 2018 mission was still somewhat up in the air. Given the back and forth of an all-ESA, an ESA-NASA and finally an ESA-Roscosmos mission, the total cost for ESA was projected to run well over the €1 billion cap – again putting ESA in a corner, forcing the agency to come up with additional funding, cut from other projects. 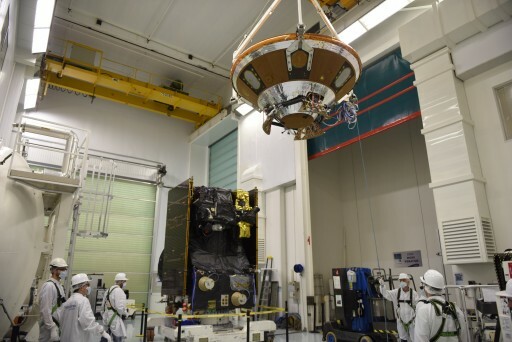 Because the planned 2018 mission was still €100 million short in 2015, a contingency schedule was developed to be able to push the mission to 2020 to give ESA two additional years to raise the funds. With the switch to Russia’s Proton-M/Briz-M rocket, new concerns emerged associated with the rocket’s poor reliability record reaching a failure rate of one in ten missions. Though ESA’s funding situation and NASA pulling out of the project leave no other more-reliable launch vehicle option on the table. The Trace Gas Orbiter and Schiaparelli lander, making up the ExoMars 2016 mission, were flown to the Baikonur Cosmodrome in late December 2015 to enter a final processing campaign at the launch site that included final testing, propellant loading and the mating of orbiter and lander. 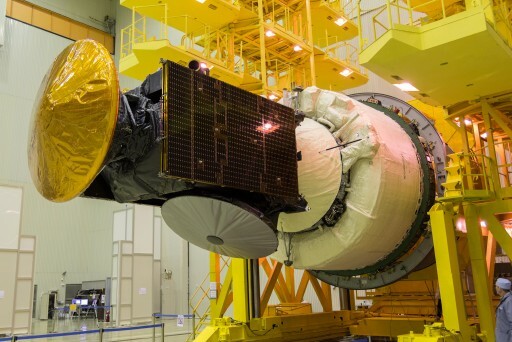 TGO and Schiaparelli were joined together in mid-February and around the same time, their Proton-M rocket arrived in Kazakhstan to be assembled for liftoff. Beginning in late February, ExoMars was installed atop its Briz-M upper stage and encapsulated in the protective payload fairing before meeting its Proton-M rocket on March 5. On March 11, the 58-meter tall Proton rocket was moved to the launch pad to enter the final countdown for liftoff on March 14 to mark the start of an ambitious mission.